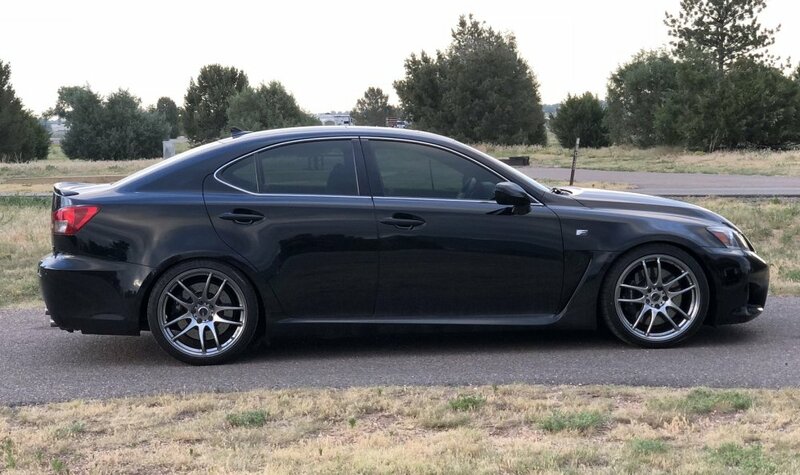 Lightly-used wheels being sold off a Lexus IS F with the tires or without. 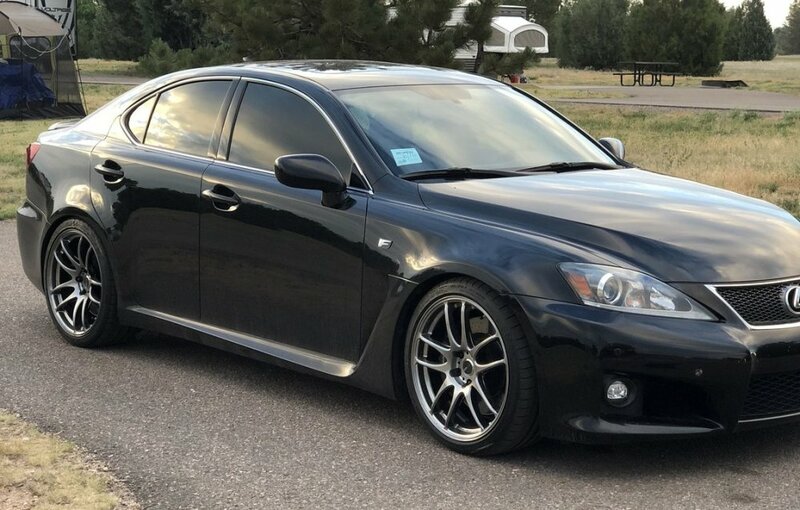 While flipping through the Club Lexus Marketplace, we came across this listing for a set of Work Emotion CR Kiwami wheels from a 2008 Lexus IS F. These rollers were listed by “blackisF08” and while they will fit a variety of vehicles, the images here show that these Work wheels look great on an original IS F. Best of all, they are being sold in ready-to-mount form, or you can buy them without the tires and pressure sensor. 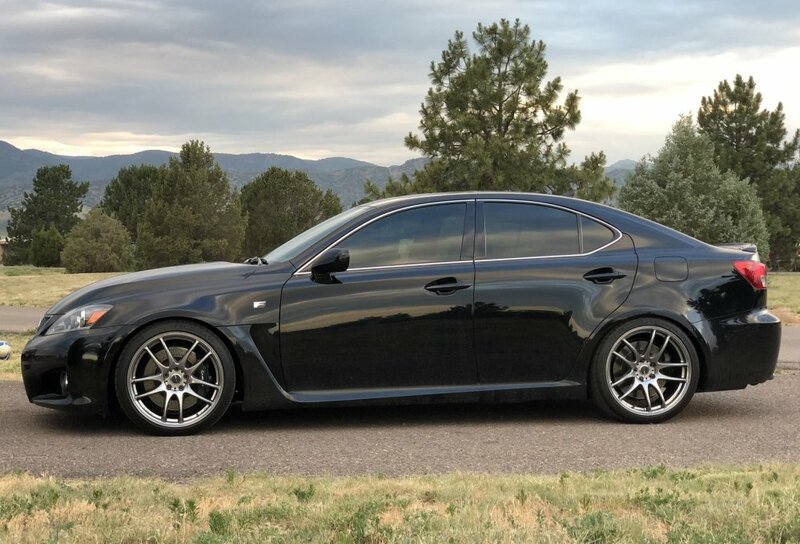 When the OP initially listed the wheels from his 2008 Lexus IS F for sale he offered up a handful of pictures and the basic details that someone buying wheels would need. For those unsure, the wheels are 19 inches in diameter, with the fronts being 8.5-inches wide with a 35-millimeter offset and the rears are 9.5-inches wide with a 38-millimeter offset. The “sensors” are the tire pressure monitor sensors, so anyone who buys the assembled wheels and tires will be able to bolt them right up, but if you don’t want the tires and sensors, the OP is also offering to sell the bare wheels with center caps for $400 less. Later on in the thread, we learn that the front tires are Michelin Pilot Super Sports measuring 245/30/19 while the rear tires are General G-Max RS measuring 275/30/19. The front tires have around 10,000 miles on them and the rears have less than 1,000, so anyone who wants a bolt-up tire-and-wheel package can plan to drive on this rubber for a while. 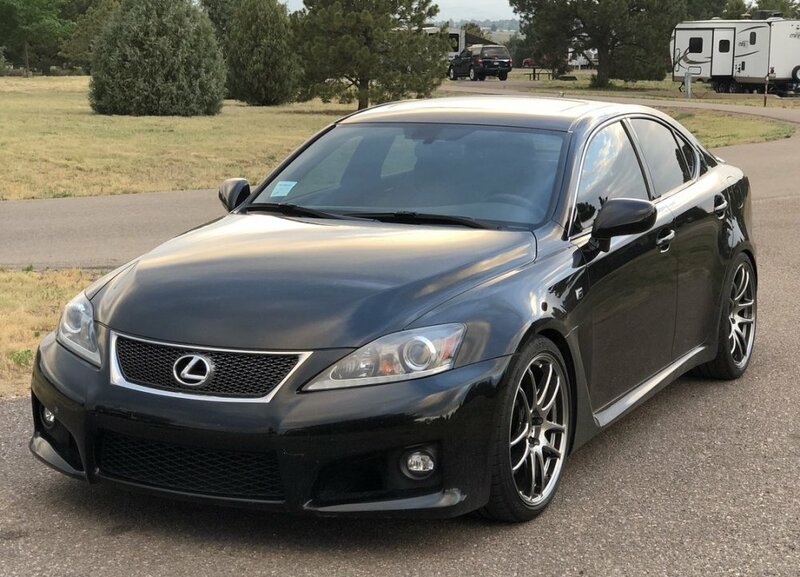 After a couple of weeks without any action, the OP lowered the price, now asking $2,100 for the whole package shipped, $1,700 for just the wheels and center caps shipped and $1,500 for the wheels picked up. In hunting around online, these wheels list for around $500 each, so whether you are buying the whole package or just the wheels, you are getting a good deal.